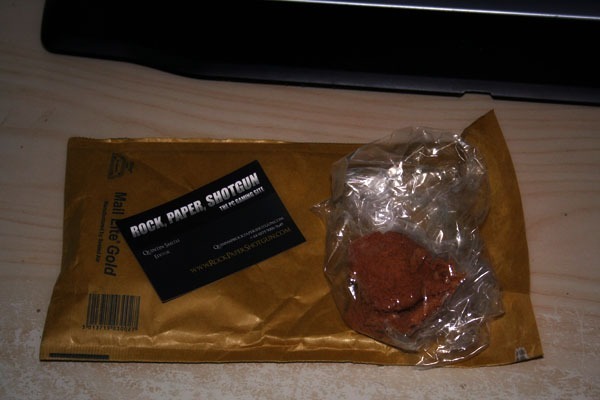 Last week I applied for a development grant from the lovely people at RockPaperShotgun.com and was lucky enough to be chosen to receive a Biscuit. I must say that on seeing Quinns child like scrawl on the envelope I was overcome with joy. At last! Funding! It turns out I was extra lucky and had been sent not one but TWO biscuits. This is a special day indeed. Hello! I must apologise for being late but there was a cat outside and I got distracted. It’s been a while since we’ve done this hasn’t it? It feels like only yesterday but somehow it’s been over four months. Amazing. While I like to think that you come to these events for the amazing conversation and my winning personality I suspect you’re really only here for the latest Videogram of Waves. Well if that’s the case I may as well get it out of the way early.